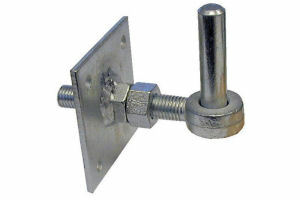 Galvanised Adjustable Gate Hook on 4" x 4" Plate (100mm x 100mm). Pin size is 19mm. A very versatile product giving easy adjustment when fitting the Gate/Gates or at a later time if adjustment is required. Sold individually.